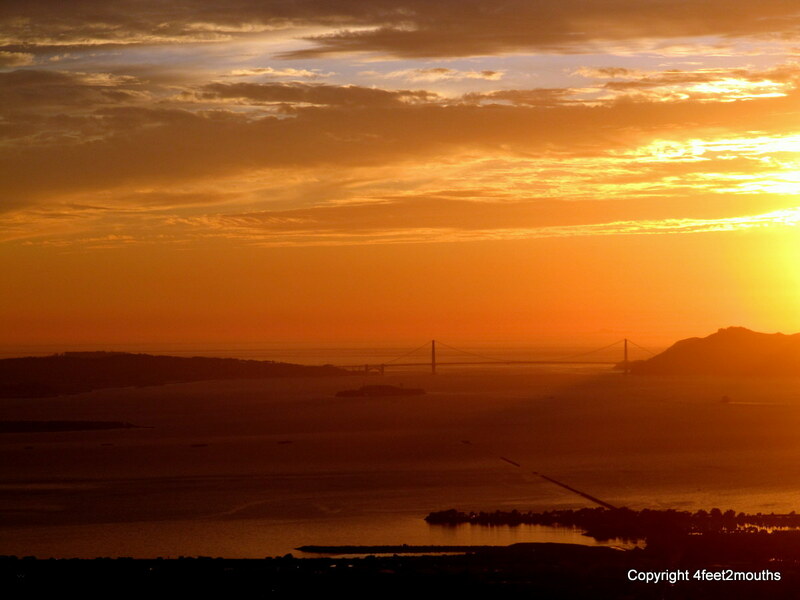 Last time I wrote a about Berkeley it was to say goodbye to a city that had treated me well. Seven months later we have returned, not as residents but as visitors. After we attended the Sonoma wedding we ventured back to Berkeley to stay with friends and revisit old haunts. It was wonderful to be back in a place I’m so familiar with, where it feels like I know every nook and cranny. But as I walked around the sunny, tree lined streets, I didn’t feel regret about leaving. 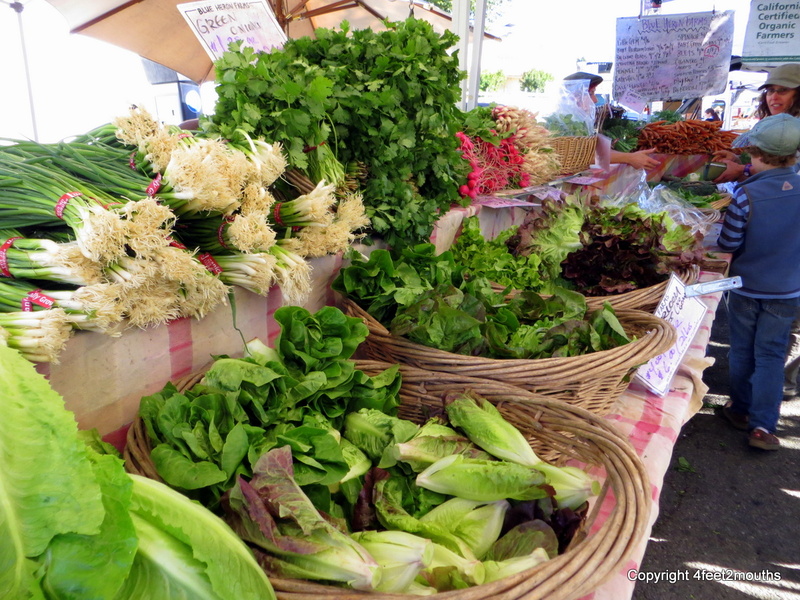 I appreciated the good food and easy walkability of Berkeley but was confident I had made the right choice to move on. There was only one moment of weakness. 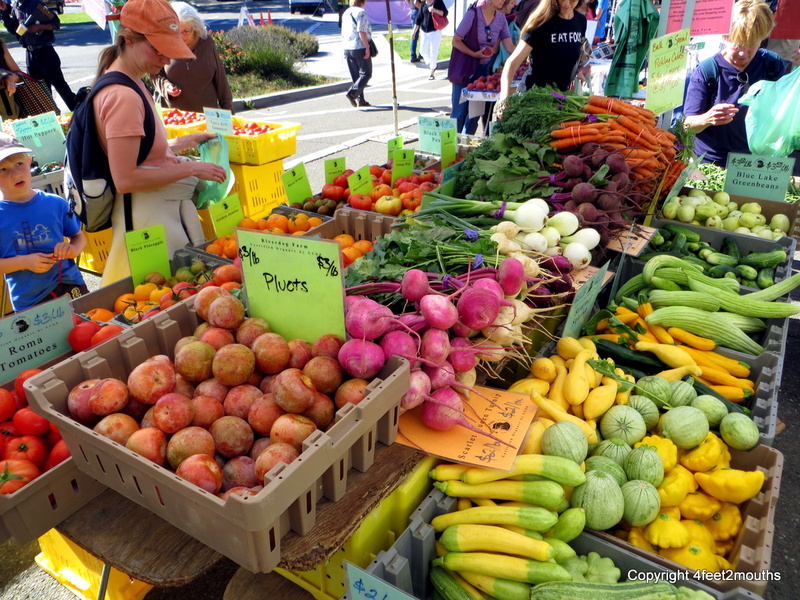 On Thursday evening we attended the organic farmers market and were reminded of the bounty of fresh fruits and vegetables available in California. After the market we made our traditional stop at Vintage Berkeley to be tempted by their excellent selection of wines, all of which are priced under $25. We also made our way to the best cheese shop in the world, The Cheese Board Collective. The woman behind the counter was totally excited for our idea of stuffing squash blossoms with ricotta and immediately brought us some amazingly delicious samples to try. Following this routine with a home cooked meal constitutes what I consider to be a perfect Thursday evening, one we enjoyed many times while living here. Aside from all the friends we sorely miss, this foodie path pulled on my heartstrings the most. 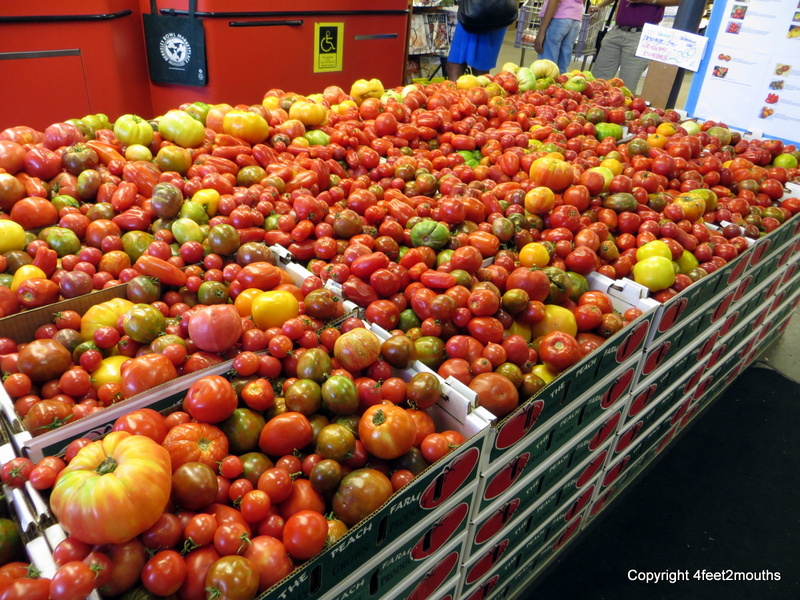 And then there is Berkeley Bowl. My love of food and cooking was awakened in Berkeley and I feel that this wondrous grocery store played a role. To be sure, it is not for everyone. The enormous variety of good quality products at low prices, not to mention their glorious produce and bulk sections, makes it popular. With so many people there is a certain amount of jostling to be expected, especially near the bottleneck by the berry section. But Nathan and I had a strategy: 1) divide list based on sections of the store, 2) enter, we each pick up a basket (carts will just slow you down) and try cheese sample, 3) Nathan goes to deli counter, I head over to dairy, 4) meet up around yogurts (or, more often, retrieve Nathan from nearby wine section), 5) Nathan selects meats and seafood, I find packaged and canned goods, 6) Nathan gets nuts, flour, etc. 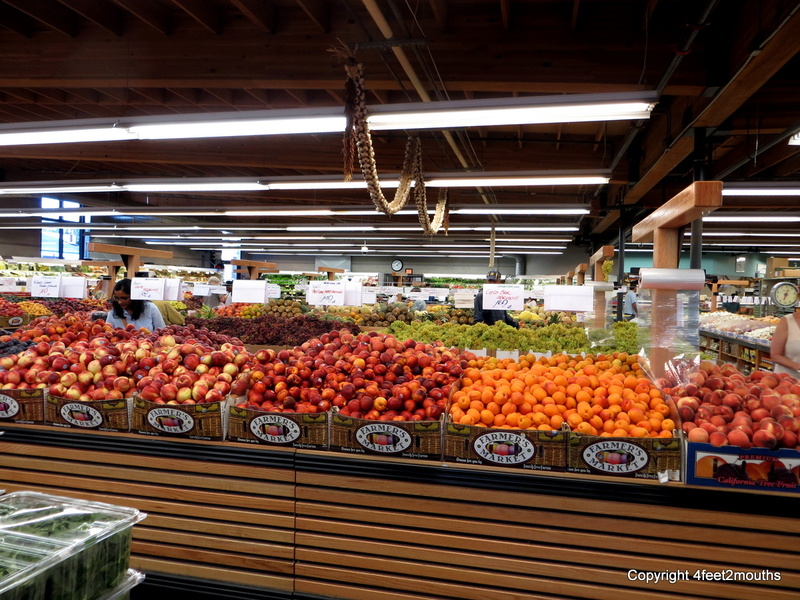 from bulk, I start in on the produce leaving my basket in a nearby aisle in order to increase maneuverability, 7) Nathan joins me in produce to select fruit, 8) get in the check-out line and breathe! Oh how I miss it. In fact most of the things I miss about Berkeley revolve around food. So with that in mind I present my personal Best of Berkeley list. 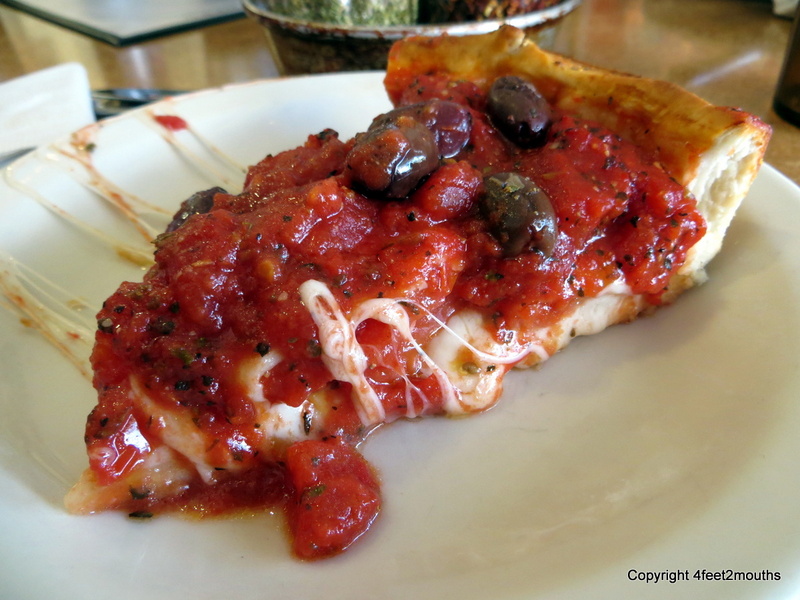 Best Place for Deep Dish Pizza: Zachary’s. This place is right up there with any Chicago deep dish restaurant. Actually, its rich tomato sauce beats out any competition. 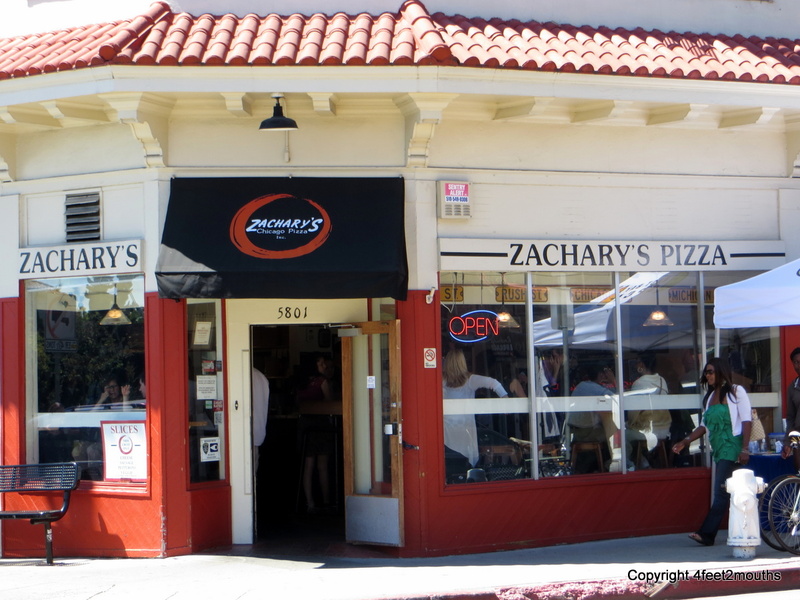 The Bay Area deep dish debate generally revolves around Little Star (cornmeal crust) vs. Zachary’s (flaky crust), with the occasional Paxti’s lover thrown in. I can appreciate both styles but for ambiance, employee benefits (Zachary’s is a co-op) and satisfaction guaranteed, I will always head to Zachary’s. 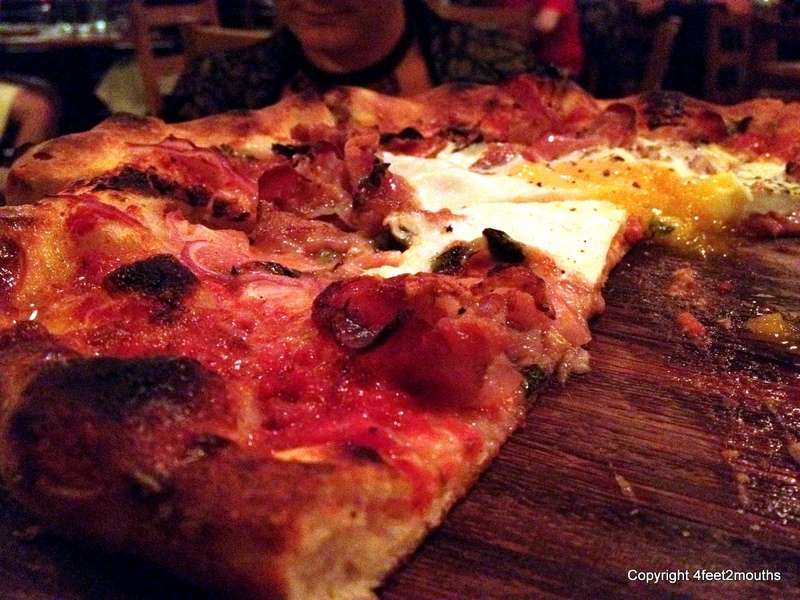 Best Place for Thin Crust Pizza: The Cheese Board Collective. Another co-op run pizzeria (hey, this is Berkeley!) makes my Best of Berkeley list. 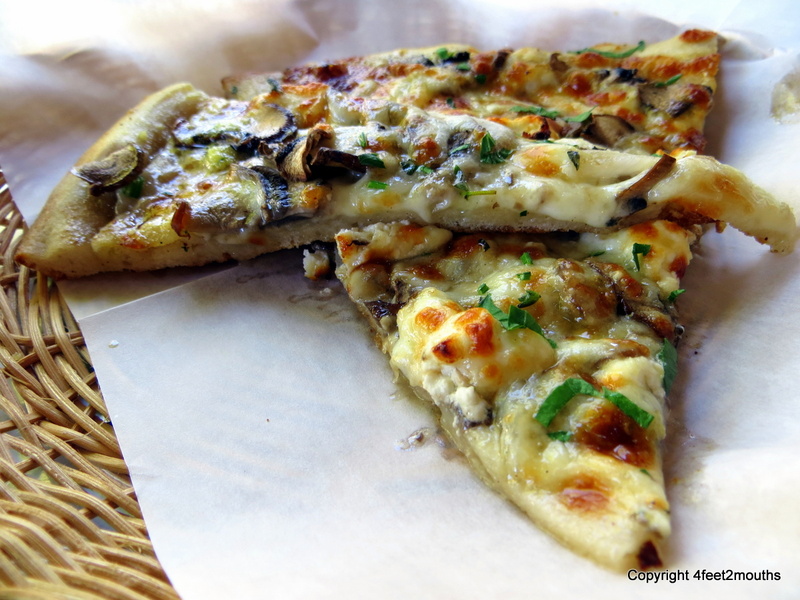 Quite simply, it serves the best veggie pizzas with lots of garlic and herbs piled on a chewy crust. Plus they give you the bonus half slice with each order. 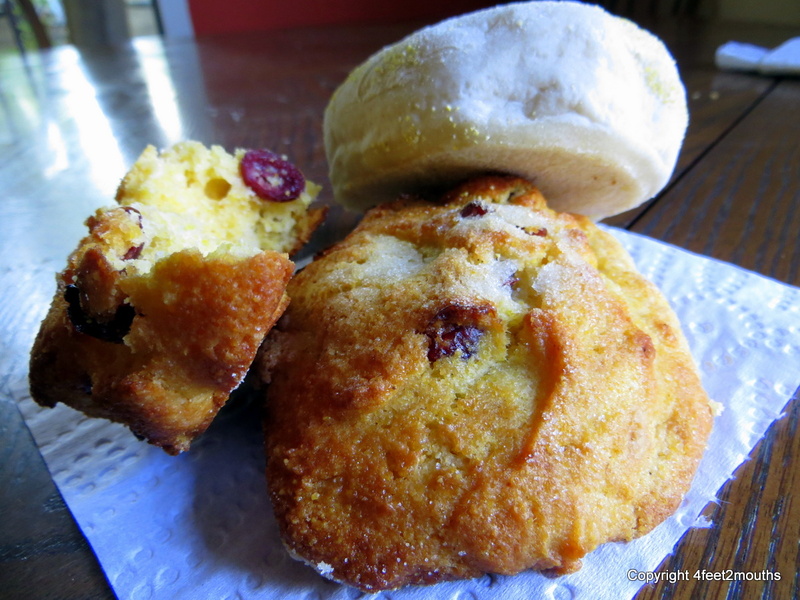 Go to the shop and bakery next door to sample any cheese you can think of a grab a cherry corn scone. Best Place to Get Over a Hangover: Picante. 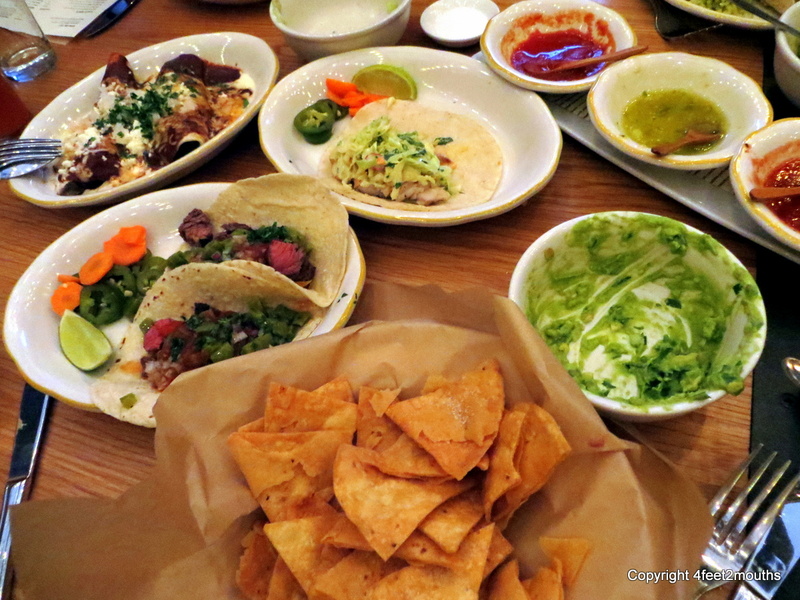 When does good Mexican food not make one feel instantly better? And for the perfect pick me up, I have two words: chilequiles verdes. A tangy tomatillo sauce is scooped onto two fried eggs accompanied by rich black beans. Sop it all up with fresh tortillas. Wash it down with a cinnamon sweet cafe de olla. Heaven. Evidence of its excellence: Nathan and I ALWAYS order different dishes at restaurants in order to share and have more variety. 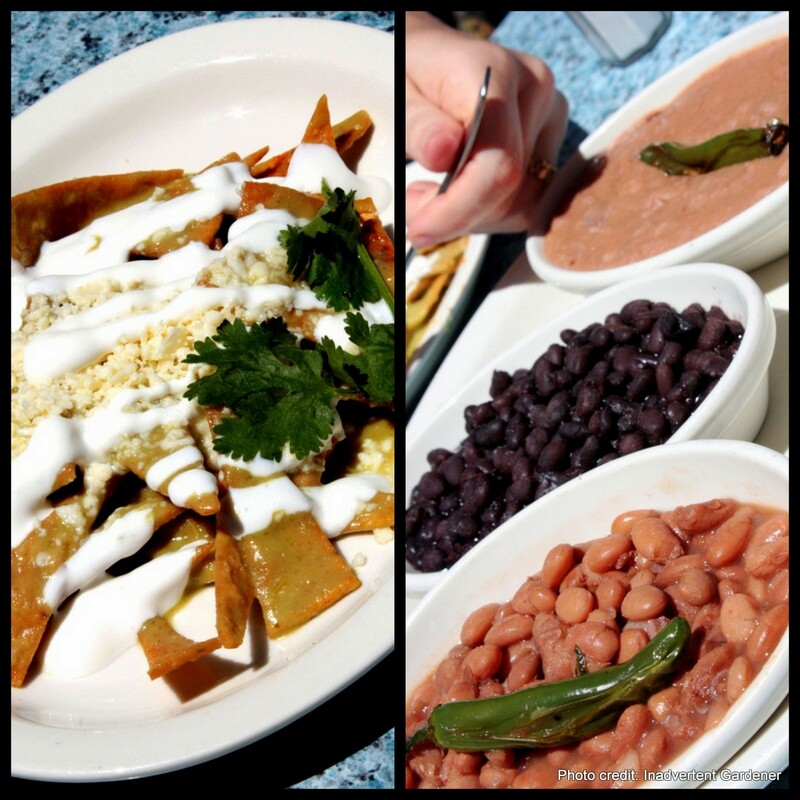 When it comes to Picante’s chilaquiles verdes, we do not share. We each order our own. Best Place to Buy Bread: ACME. 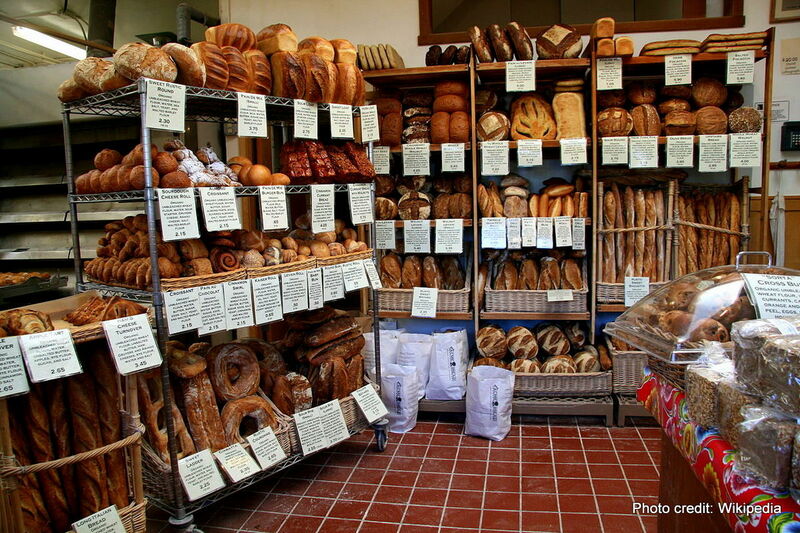 In a tiny little bakeshop on the corner of Cedar and San Pablo, the glory of good bread is celebrated. Everything is good here. Puts all other supermarket breads to shame. Best Place to Eat Al Fresco: Brazil Cafe. Walking past this cheery food stand with the Brazilian music blasting round the clock, it’s hard not to stop. 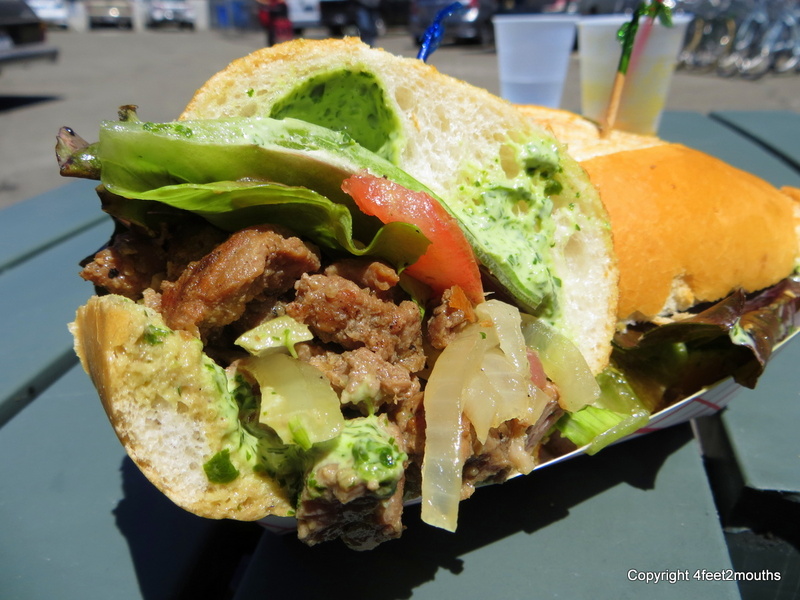 They rope you in with lots of grilled goodies, either stuffed in sandwiches or on top of rice. And then they drizzle on a tangy green garlic sauce that takes it to a whole other level. Best Place to be a Localvore: Gather. The inventive cuisine at Gather is already well known as it was one of the first to really push eating locally. And they do it in style, with plenty of great vegetarian and vegan options that are packed with flavor. Their pizzas are excellent and have these special crusts in which the dough is somehow pinched to create pearls of bread around the pie. Yum. Best Place to That Sells Only One Thing: Bakesale Betty. Ok fine, it sells maybe 5 things and is technically in Oakland. 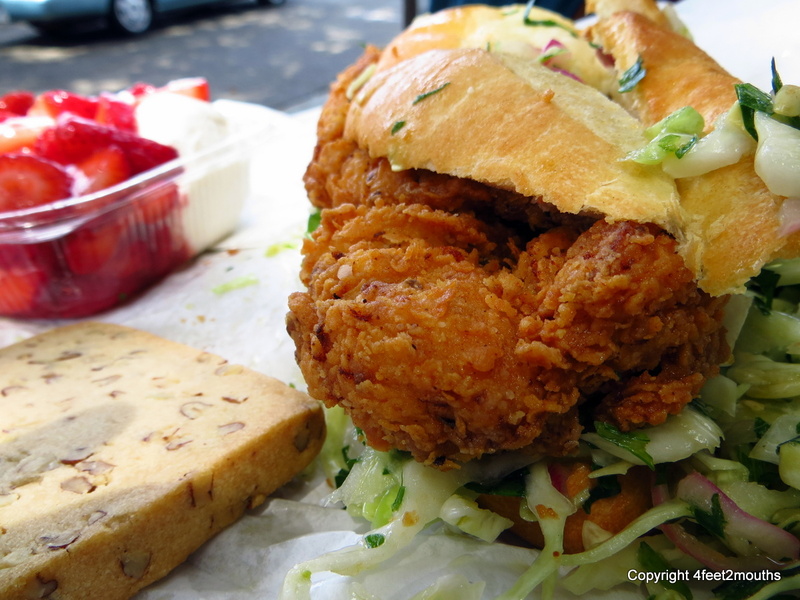 But you really only go there for one thing – the fried chicken sandwich. It’s perfectly crunchy and crispy and topped with well-dressed jalapeno coleslaw that rocks. Followed with a strawberry shortcake or cookie, it’s a decadent treat perfect for a sunny afternoon. Best Place to Feel Like You Are In SF: Comal. This restaurant opened in the 7 months that we were gone and we are already sad that it wasn’t here sooner. 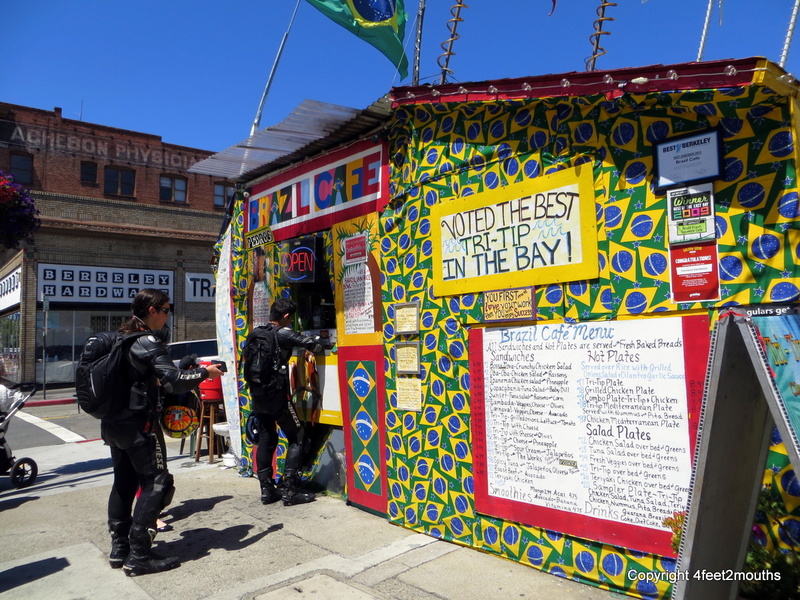 Berkeley has some great food but for that buzzing, urban cool ambiance we usually head across the Bay to SF. But this place was hopping on a Monday night, maybe because their sophisticated cocktails are hard to resist. As for the high-end Mexican food, we were pretty much licking the plate. And of course there’s more. Phil’s Sliders for its perfectly proportioned gourmet mini-burgers. La Note for its scrumptious French style breakfasts. Ippuku for its awesomely authentic Japanese izakaya cuisine. La Mediterranee, for its completely addictive, savory sweet chicken filo rolls. Cafe Coulucci for its Ethiopian stews to be sopped up with the spongy, sour injera bread. I could never name all the places. All I can say is thank you, Berkeley, for supporting my eating habit with such good options! You guys looked pretty fit even after eating all that good food :) The food tastes better with good friends too! Our freshly pressed post on Cappadocia!